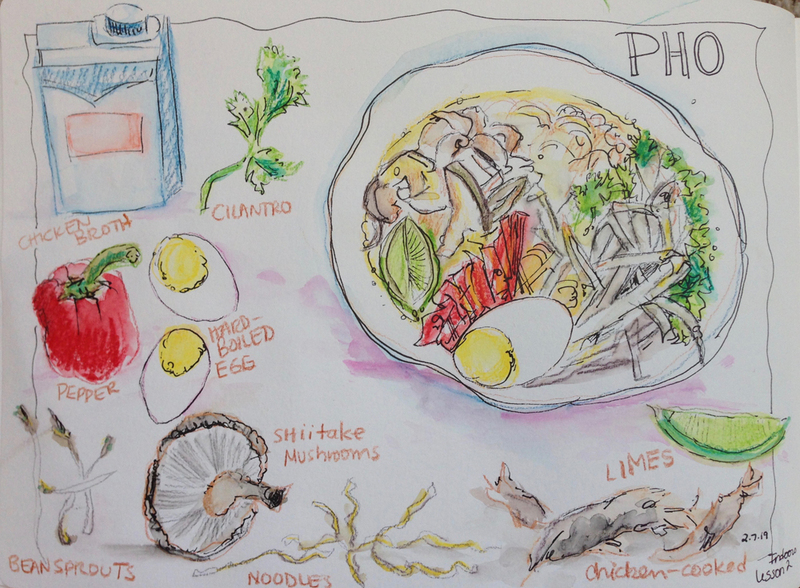 I made Pho last week. Pho is a Vietnamese soup with broth, noodles, meat, and vegetables. I sketched the ingredients (above) before I put them in the soup. I chose to use watercolor pencils for this sketch, later outlined in black pen. I prefer my pens and watercolors, but it was fun to try something different! The final bowl of soup was sketched before I ate it, so I had to work quickly. It was rewarding in the end to have a fun sketch and a warm soup for a super-cold day!